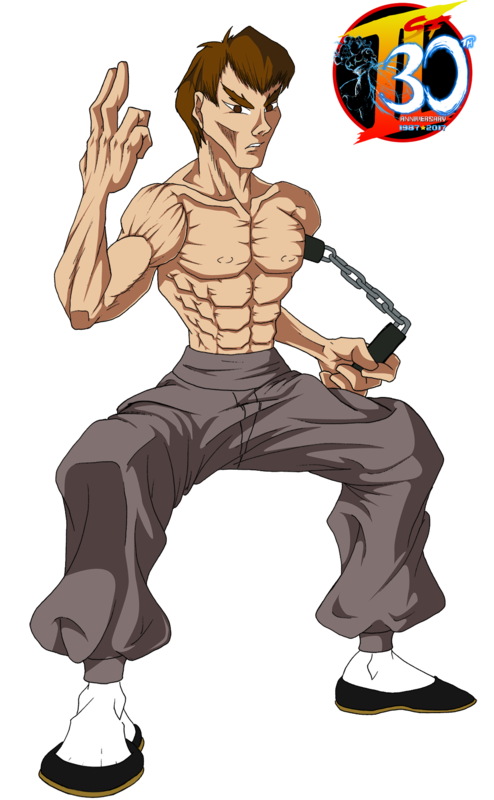 Fei Long was one of the four new playable characters from Street Fighter II ‘The New Challengers.’ He joined the new roster alongside Cammy, Dee Jay and T. Hawk. He is a direct reference and tribute to Martial Arts movie legend Bruce Lee. 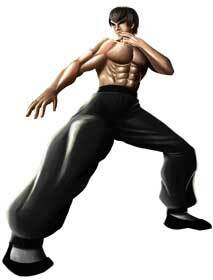 In the world of Street Fighter, Fei Long is one of the hottest and most sought after Martial Arts movie stars. He was discovered by a talent scout when he was found beating up a group of street thugs. This is also reminiscent of how Bruce Lee’s talents were discovered. Once he entered the world of show business, Fei Long found that he was too powerful and overwhelmingly outclassed his co-stars. To make sure no one got hurt, he had to hold back a lot and rely on fight choreography to get his movies made. Feeling the need to hone his martial arts skills against more worthy opponents, he entered the Second World Warriors’ tournament. After victory was his, another movie talent scout approached him offering a big role in an upcoming movie. But Fei Long declined as he found actual fighting more satisfying than the choreographed fighting of the movies he was in. The ending to Super Street Fighter II hints that Fei Long gave up being an actor and took to Street Fighting as a career. But given how in future installments he was still making movies; this is most likely not canon. 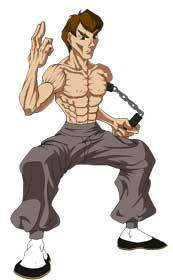 Fei Long is one Street Fighter character that has appeared on and off throughout the series. 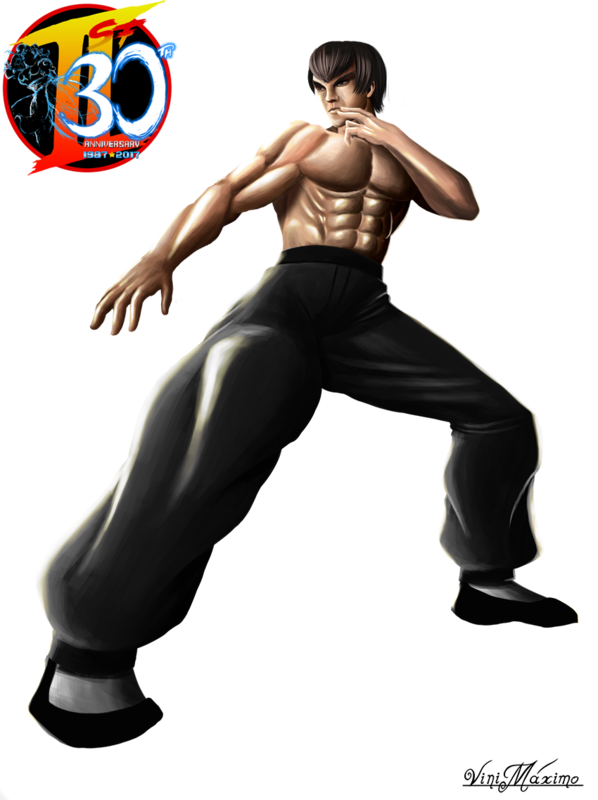 He returned in Street Fighter IV with his alternate outfits being references to Bruce Lee’s past roles such as Kato from ‘Green Hornet’ and his starring role in ‘Enter the Dragon.’ One of his more humorous comebacks was in Street Fighter Alpha 3 where his ending showed Fei Long starring in a movie based on ‘Street Fighter’; and even winning an academy award for it. Ironically, Fei Long was one of the very few Street Fighter II characters that were not a part of the 1994 live-action Street Fighter movie starring Jean Claude Van Damme and Raul Julia. Reportedly, he was replaced by Captain Sawada because the makers of the film felt Fei Long was too “generic looking.” Inofficially they wanted to avoid problems due to Fei Long looking a lot like Bruce Lee I guess. Vinnymax from Brazil is an artist who has made incredible renditions of many famous fighting characters. His skills in lighting give his drawings a shiny but very realistic look. Though more noted for his female drawings, his take on Fei Long is beautifully done both with dramatic lighting and dramatic posing to bring the Bruce Lee inspired legend to life! Please visit his gallery on Deviantart here!